So you've made it this far, DJing at a party, and you notice everything is going well, until you get that special person who requests a song that you don't have. Here are thirteen tips on how to deal with DJ requests. 1) Requests are rude... plain and simple. 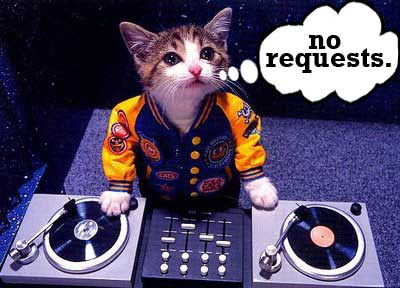 Unless you are a wedding DJ, or at a school dance, or at a radio station... requests are rude. It's like saying "I don't tell you how to do your job, so don't tell me how to do mine." Most clueless morons don't understand this concept because they think the DJ is a jukebox for their own leisure. 2) All requests aren't all that bad... Especially when the song request fits in the genre that you are playing. It does give you an idea of what the crowd wants and as a DJ, you should also play off the crowd, but in your style. 3) You have their song. If you do have the song they request, then think about playing it later.Perhaps when it best fits in your DJ set. Don't drop it immediately as your next song because you don't want them to think that you'll do anything they'll say. 4) You don't have their song. If you don't have that song, politely reply that "you don't have it." or "you have it, but just not with you." 5) Don't take it personally if you don't have their song. Cause no one wants a stuck up, hissy-fit DJ. That one clueless person that requested a song could be the owner of the club or someone of importance, so you might want to keep a good composure. 7) Can you play something that I can dance too? This one is a trick request. Especially, since you see the dance floor bangin, and it's just this one person who can't get into the groove. I'd say ignore this person, but also be polite about it. Unless of course, this person specifically requests a song you have and it would fit the vibe of the dance floor. However, in the case of a vague request like this, I'd say there will be no pleasing this person and move on. 8) Can you give a Happy Birthday shout out to me! Say, "I don't have a mic, sorry." You could bring a mic if it's your set up, and in case the person who threw the party actually needs to use it, but no one else. So keep it hidden. Besides, most of these idiots don't know that most high end headphones have a mic in them, anyway. 9) Blatantly advertise "no requests." You could wear a shirt that says "no requests" or have a sign that says "I don't take requests." Haven't tried this one yet, however. 10) Get a middle man. Yeah, get a bouncer, or manager, or a tough skinned friend that stands between you and the people. This is especially good since it keeps you focused on what you're doing and not on trivial futile requests. 11) Accept the fact that you won't please everyone. No matter where you are, there is going to be that one individual that doesn't like the songs you are playing and wants something else. 12) Play what you're booked for. You're booked to play this certain type of music, that's why you're playing it. Seriously, don't stray to far away from music you've been booked to play. Even when some douche wants you to play a song from a completely opposite genre. 13) Acceptable Requests. The only real acceptable time for requests is beforehand. Like if you're playing at a someone's birthday party and that person requests a certain song to be played that night. This way you can buy that song beforehand and get it ready for the party in case you don't have it. If it's a long list, then make sure you are definitely getting paid. on #11 it's accept, not except. Right on. Especially the obvious (apparently not to many people, to say the least) point that requests are rude. Not only are requests insulting by the implicit questioning of the DJs taste, but also just as an interruption. One would not think to walk up to a musician while he's playing, keep tapping his shoulder and shouting for him or her to play something different; somehow DJs are assumed to be available for conversation. When I'm DJing, it's a continuous effort of selecting tracks, beatmatching, "live" mashing of tracks, looping, adding effects, etc. There's really no time to chat. I'm hired to create a musical flow, mood, atmosphere, for the entire venue, not to socialize or cater to the whims of one individual. The best response is simply to keep one's composure, smile, and say as politely as possible that "Sorry, I don't take requests" then get back to work. Requests do get quite rude after awhile. I've DJed at another event a few years ago and one person walked by and said something like "Play something else" I'm like, "Whatever"
Yesterday I was djing at my church for a carnival, and I cannot do my job right when I have 3 annoying kids in my booth. I had to ban one kid for messing with my mic. 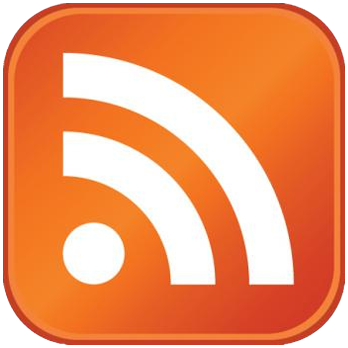 I am a up and coming virtual dj,if I am doing a wedding,how do I download a song and play it back later? I can download the song but it want play. I just tell 'em: No Breasts, No Requests!